PLYMOUTH’S top divers enjoyed a successful trip north of the border to take part in the Scottish National and Open Championships at the Royal Commonwealth Pool in Edinburgh. The early season event attracted nearly all the country’s top divers and some from overseas. 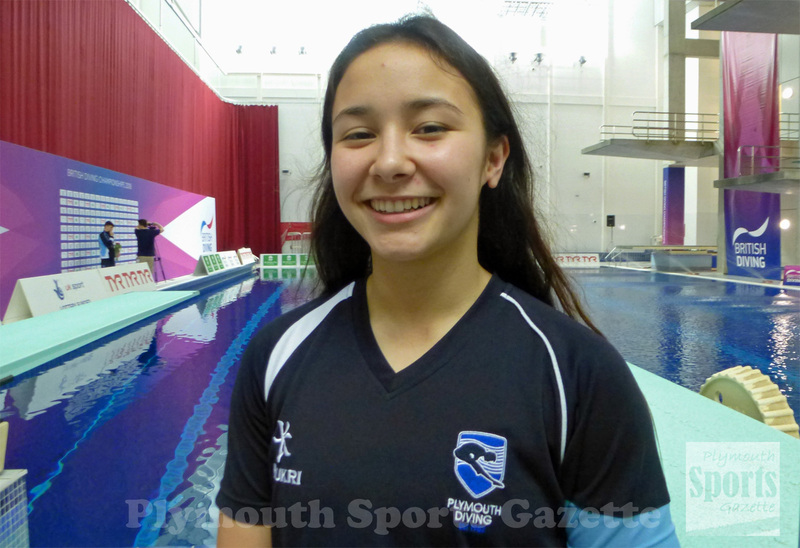 Plymouth Diving returned home with 16 medals and a host of promising displays that indicate that 2019 could be a very successful year for the club. The top event at the four-day competition was the men’s platform final, which featured a world champion and six Commonwealth Games finalists. Tom Daley, on his return to action after an extended lay-off from the sport following the birth of his son Robbie, took victory with fellow Plymothian Matthew Dixon taking second spot, ahead of Noah Williams, Matty Lee, Lucas Thomson, James Heatly and his Plymouth Diving team-mate Aidan Heslop. All the finalists were internationals and most are in the process of learning new dives ahead of February’s National Diving Cup in Plymouth. Dixon showed that he could be about to make the step up to the very highest level by scoring an impressive 92.50 points for his new 3.7DD four-and-a-half somersault dive. Dixon also won a bronze medal in the men’s one-metre final behind Sheffield’s Jordan Houlden and European and Commonwealth medallist Heatly. Daley, meanwhile, won the men’s platform synchro final with new partner Matty Lee on the opening day of competition, with Plymouth Diving’s Tommy Davis and Josh Freeman taking fourth. Teenager Heslop had dived in the men’s platform event, but he competed in the boys’ A three-metre event where he won bronze. He also impressed in the team event with Victoria Vincent to win a silver medal. 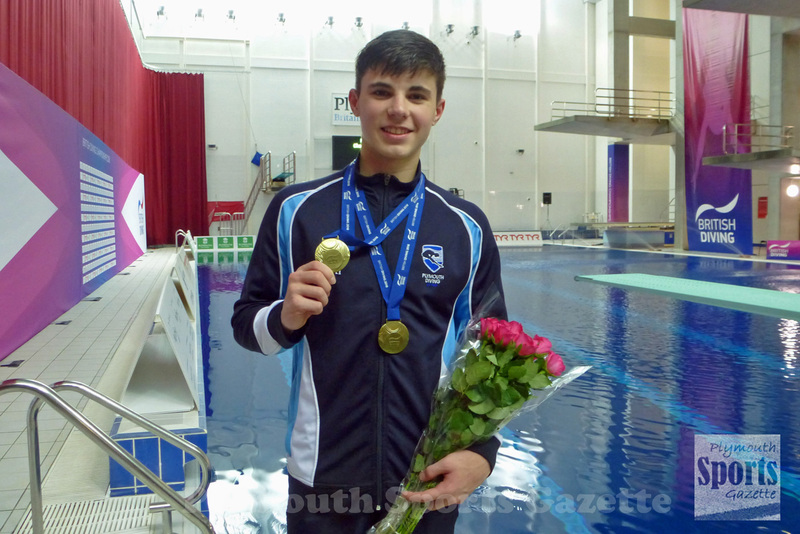 Young up-and-coming Plymouth divers Euan McCabe and Zachery Anderson both won three individual medals in Scotland. Anderson claimed the boys’ C platform and three-metre titles with impressive performances and also claimed a bronze in the one-metre springboard competition. McCabe took gold in the boys’ B one metre, silver in the three-metre and bronze in the platform. In the women’s events, Great Britain junior international Vincent impressed. She took silver in the senior one-metre final behind Commonwealth Games and European champion Grace Reid. Kayleigh Sinclair was fifth in the same final. Vincent then won gold in the girls’ A three-metre final, with team-mate Cody Powell-Tuckett sixth. Powell-Tuckett, though, did win the girls’ A platform final in Edinburgh. Sinclair returned home from Scotland with two medals. She took bronze in the women’s three-metre final and won a synchro springboard silver with Summer Radcliffe. There was also a synchro silver medal for Plymouth’s Frances Burdett and Maria Marasescu in the platform event. Shanice Lobb just missed out on a medal in the women’s platform competition. She finished fourth in a strong final that was won by former Plymouth diver Robyn Birch. There were also a fourth-placed finishes for Radcliffe in the girls’ B one-metre competition and Powell-Tuckett in the girls’ A one-metre.